NEED A WEEKEND AWAY WITH YOUR GIRLFRIENDS? 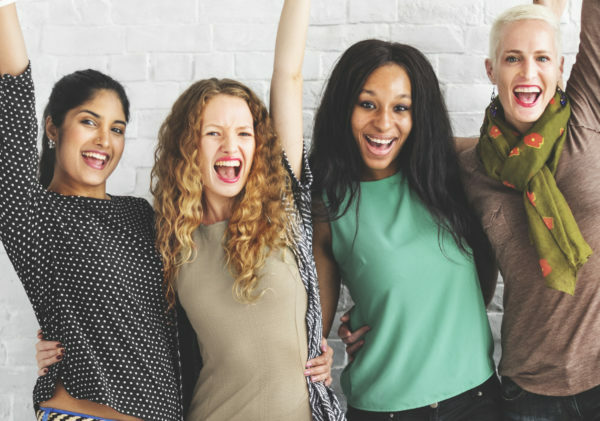 RELAX, RECONNECT AND REMINISCE WITH YOUR PALS ON A GIRLS’ WEEKEND IN GLOUCESTER, MA! Download Your Girls’ Getaway Weekend Passport! Whether you are coming to town for Beauport Hospitality Group’s Bridal Showcase at Cruiseport Gloucester or just looking to have a fun weekend with your friends, Gloucester and Cape Ann have everything you need. Lodging specials, shopping discounts, jewelry workshops, and more can be found in Gloucester, Rockport, and Essex on the weekend of March 1 – 3, 2019. Download your Girls’ Getaway Weekend Passport to take advantage of all the special offers and special events! You will also be able to pick up a passport in person at any of the participating businesses during the weekend. Overnight stay package: special room rates based on availability, complimentary treats: a bottle of bubbly, a 1606 appetizer, and transportation to/from the Bridal Showcase. Call (978) 282-0008 to book your stay. A “Beach & Bubbly” getaway special – 10% discount on weekend reservations and complimentary mimosas for getaway groups visiting the Inn. Code: Girls Getaway Weekend. 3/1-3/3, Save 25% with a special room rate: $75 + tax per room per night. Call 978-281-2900 to reserve and mention Girls’ Getaway Promotion to receive this discounted offer. Buy one entrée, get one entree at half off during breakfast, lunch, and dinner. Choose from select half-off appetizers and specialty cocktails in their River View Dining Room & Bar. Friday is Prime Rib Night, Saturday is Acoustic on the River and Sunday start your day by making your Own Bloody. Mention BFF promo to your server. Enjoy a free bowl of Woodman’s award-winning New England Clam Chowder during lunch or dinner. 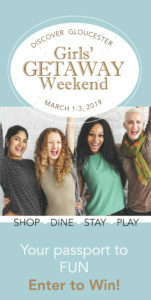 Shopping credits to Girls’ Getaway Weekend participants who make a Cape Ann Designs purchase during the weekend event – $5 credit for every $50 paid on purchased items. Credits can be used toward a future purchase. 10% of bath and body product purchases. 20% off any purchase and receive a free gift with purchase. 15% discount on in-store purchases, plus goodie bags to the first 10 Girls’ Getaway Weekend shoppers with Passport. 3/2-3/3, Visit the Studio to see where the hand-poured candles and favors are made. Get a FREE oversized box of matches with your candle purchase! Order custom candle favors for your wedding, shower, party, or corporate event and receive 10 bonus favors for FREE! Open 12pm – 5pm. Sunday, March 3 from noon-2pm: Learn earring making/bead stringing with Beth Williams at this 2-hour class. Maximum 4 people, supplies are provided. Price $40.00 per person. Call for details and RSVP to 978-283-5566. Saturday, March 2 1:00-2:30: Create a pendant and pair of earrings with Swarovski pearls and seed beads using the x and o pattern. Call to register at 978 546 2223. Cost includes all supplies, $38 per person. Saturday, March 2 from 3:00 pm – 4:30 pm and Sunday, March 3 from 1:00 pm – 2:30 pm: Create wedding jewelry and bridesmaids gifts. Instruction is free, cost of supplies only. No need to register, just drop in. Bring in your GGW Passport for $2 off a full-priced yoga or barre class or $20 off a full-priced 10 class pass. Cannot be combined with other offers. *Girls’ Getaway Weekend Offers are valid during the event weekend of March 1-3, 2019 or noted dates and times in the above listings. Participants must present Weekend Passports to enjoy discounts and other special giveaways.